…going into the station to pay for gas. …dropping mail off at the post office. …running back into the house to grab a water. …picking up the dry cleaning. One second is all it takes for something horrific to happen. Although several times a year we hear stories on the news that recount how a car was stolen with a baby inside at the gas station, the message still hasn’t been heard loud and clear that it is never acceptable to leave your child in the car, even for a moment. It is scary for a child to be left alone. A car’s temperature can change quickly. It can become too hot or too cold in minutes. You could lock your keys in the car, along with your child. According to Safe Kids, 30 children die each year when they are alone in the car. One of those 30 could be yours. In some states, it’s illegal. It can be considered a misdemeanor offense and if your child is hurt or worse, it can become a felony. In a nutshell, when parents leave their children in the car because they don’t want to go through the hassle of taking them in and out, it is lazy parenting at its worst. If you think it’s too cold to take your child out of the car while you run an errand, skip it. If you need gas, go to a full-service station. If you need money, find a drive though ATM. If you forgot your water, go without it. 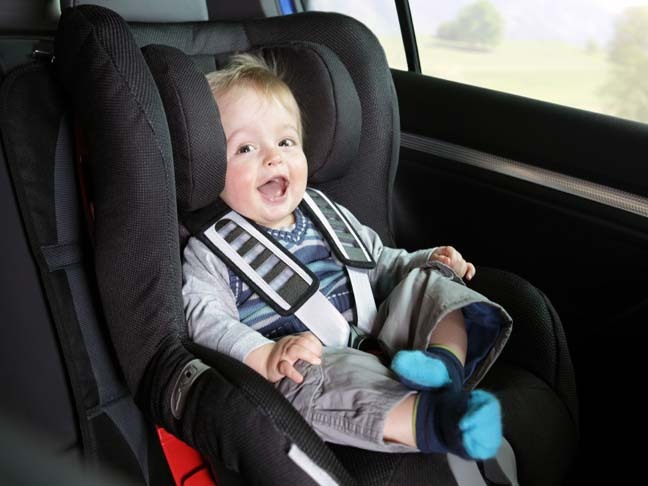 The risk of leaving your child unattended in the car, even for a moment, isn’t worth it. Ever.